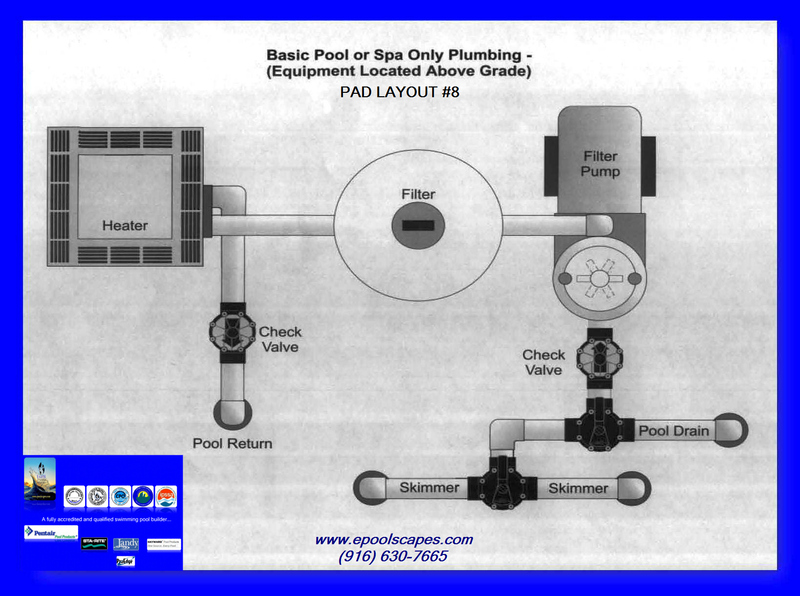 Common pool plumbing layout for the pool/ spa combo design with shared pool & spa heater and controller. 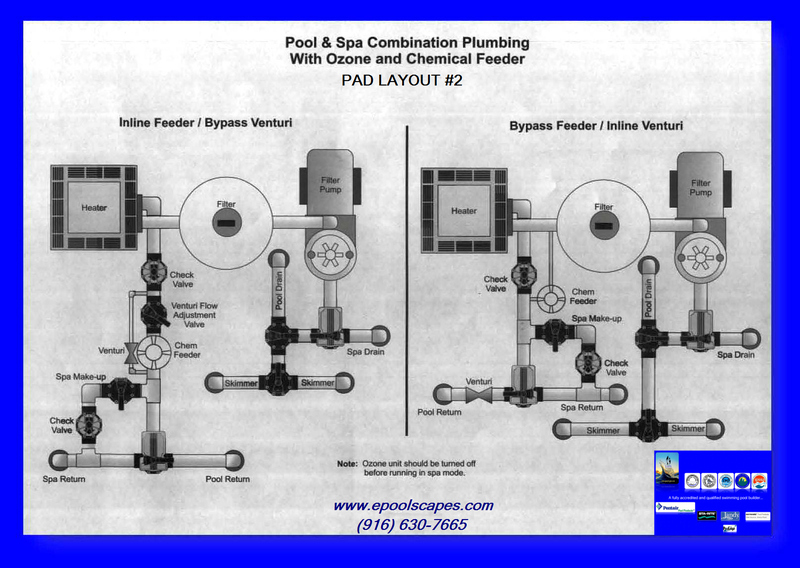 Common pool plumbing layout for in-line Feeder with bypass Venturi, and bypass Feeder with in-line Venturi. 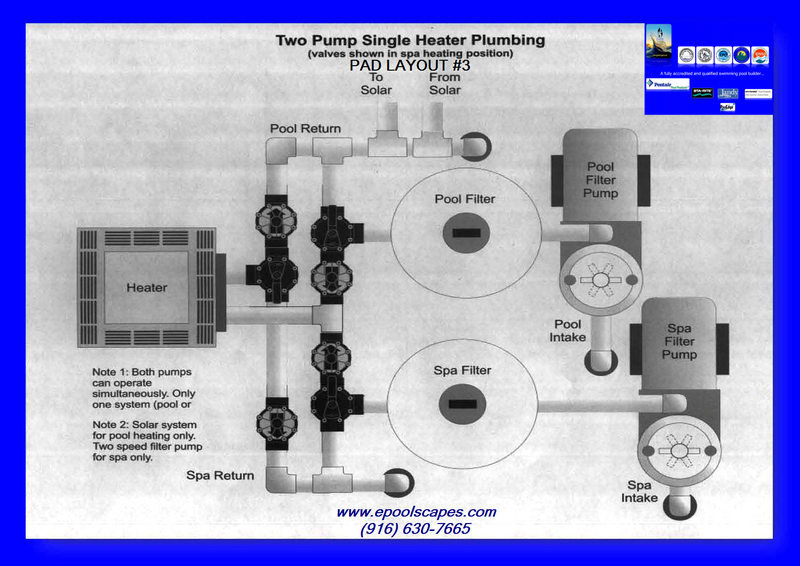 Common pool plumbing layout for two separate systems sharing the same heater. 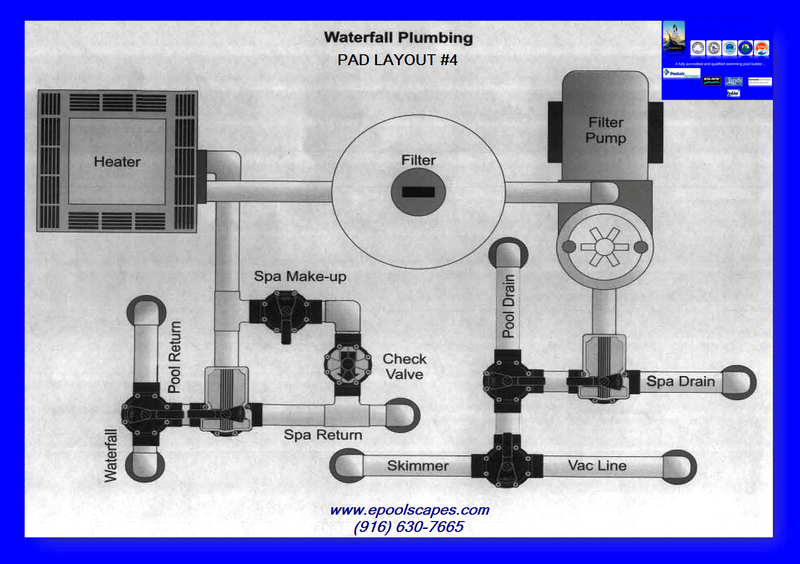 Common pool plumbing layout for the pool / spa combo design with water fall system. 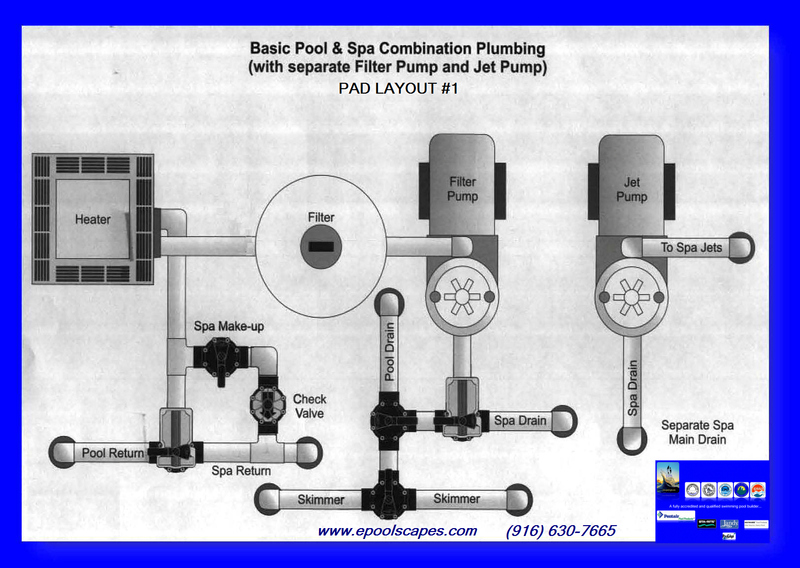 With shared pool & spa heater and controllers. 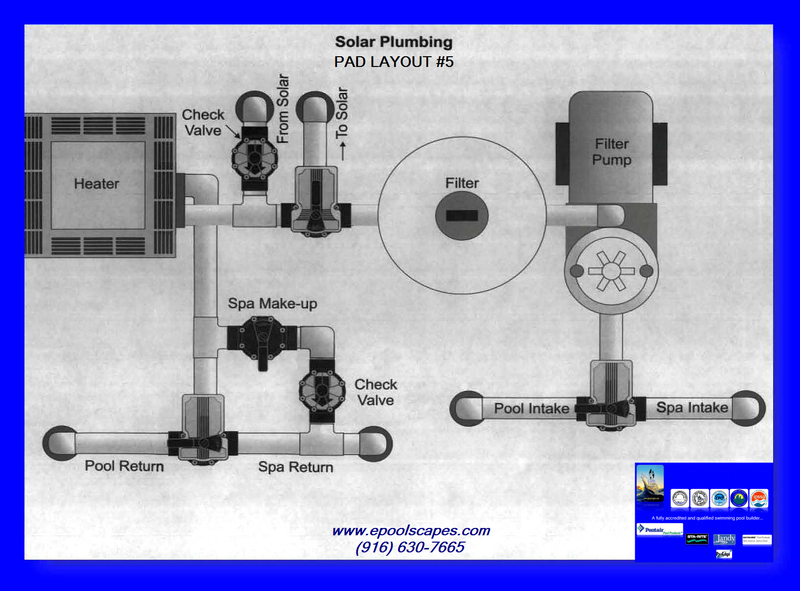 Common pool plumbing layout for the pool / spa combo design with solar heating system. With shared pool & spa heater and controllers. 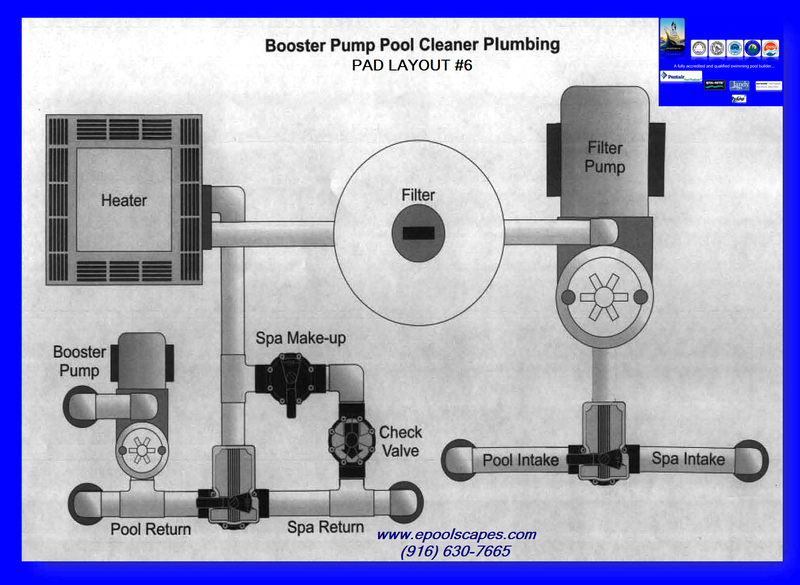 Common pool plumbing layout for the pool / spa combo design with booster pump cleaner line. With shared pool & spa heater and controllers. 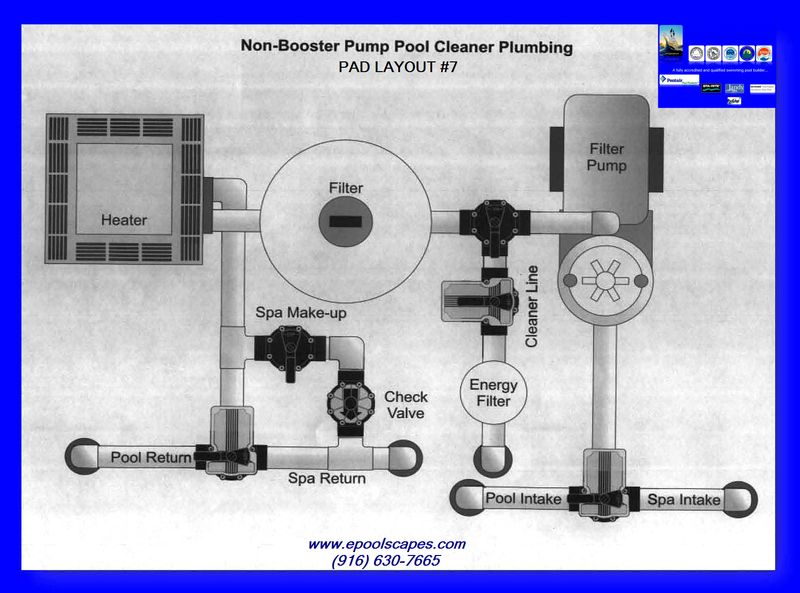 Common pool plumbing layout for the pool / spa combo design with non-booster pump cleaner line. 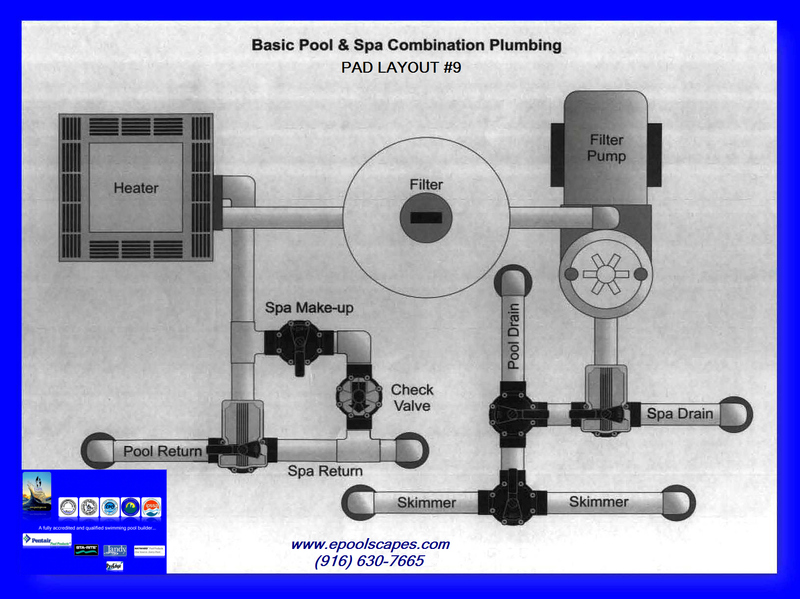 With shared pool & spa heater and controllers.